With so much to see and do in the White Mountains in New Hampshire, no doubt you’re going to work up quite the appetite! 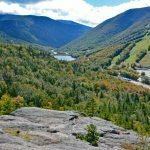 Especially if you’ve gone on some of these great White Mountains hikes! Good thing there are countless Lincoln NH restaurants to choose from. 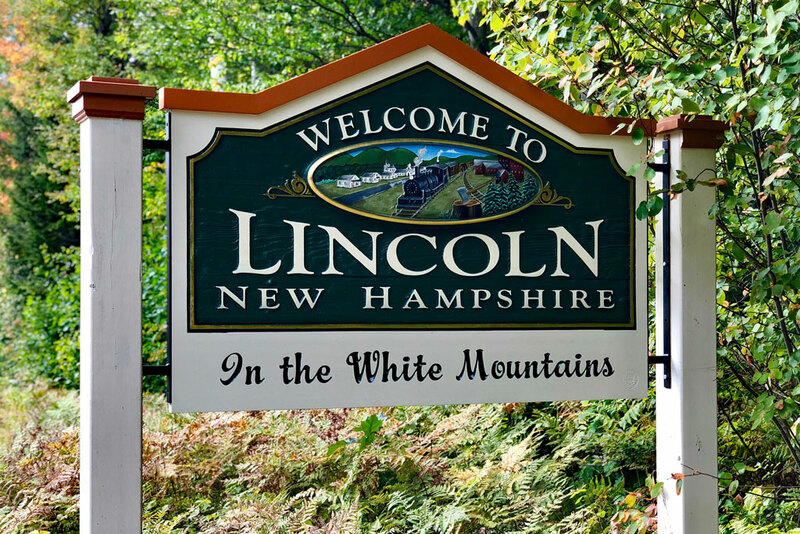 Several attractions in the White Mountains are located in and around Lincoln, so we were able to sample quite a few of the restaurants in the Lincoln NH area. As a result, we want to share a few of our favorite restaurants with you to help you in planning your own trip to the White Mountains. 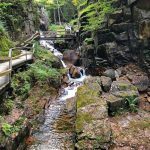 Don’t forget to check out our Things to Do in The White Mountains post when planning your visit for more ideas and helpful tips! 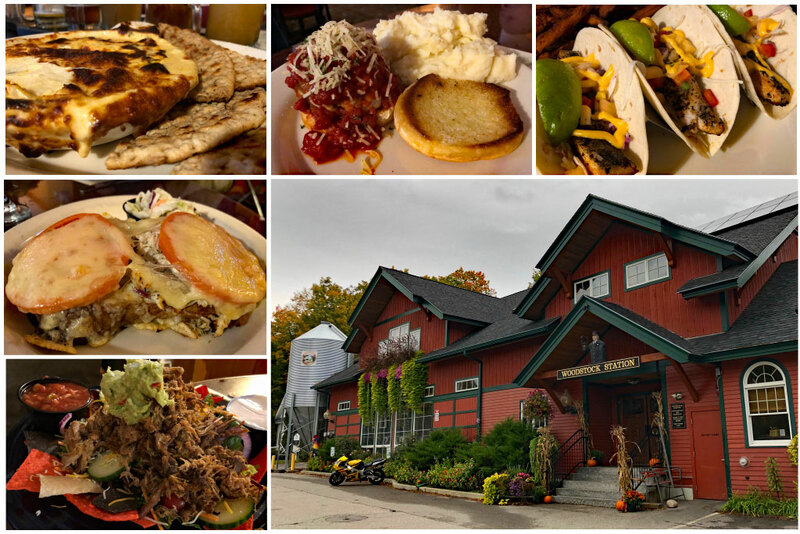 Whether you’re looking for a hearty breakfast, a healthy lunch, or an indulgent dinner, Lincoln NH is the place to eat! We spent a wonderful Fall week exploring the New Hampshire White Mountains. Much of our time was spent in and around the town Lincoln and we were pleased with the variety of dining options. One of our favorite meals to eat out is breakfast. You know, they say breakfast is the most important meal of the day! So it’s a good thing there are a lot of Lincoln NH restaurants that serve up a delicious breakfast. Looking for breakfast places in Lincoln NH? So were we… and boy, did we find some good ones! 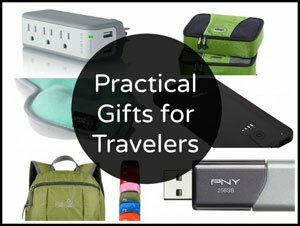 Here are a few of the best! Not feeling pancakes? That’s ok. Flap Jack’s has a tempting selection of breakfast platters, omelettes, french toast, and breakfast sandwiches to choose from. Need an extra boost in the morning? Besides the usual offerings of coffee, tea, and juice, Flap Jack’s offers several breakfast cocktails. Try a traditional bloody mary or mimosa or go for a cutesie mi-moose-a (champagne and ruby red grapefruit juice) or a comeau-sa (champagne and cranberry juice). 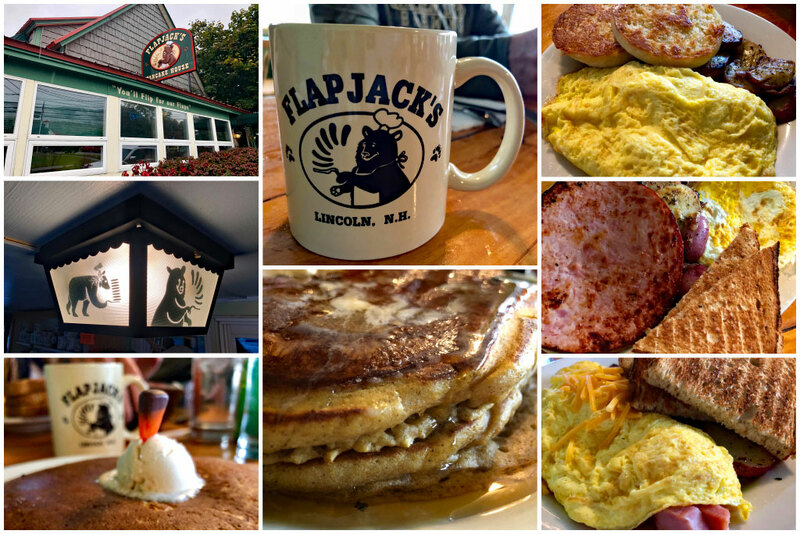 No matter what you get at Flap Jack’s, you won’t be disappointed or hungry! Confession: The only reason we even found out about Texas Toast Eatery was because the line was too long at Flap Jack’s the first morning we tried to go. We were a little pressed for time that particular morning, as we had a zipline appointment for which we couldn’t be late. 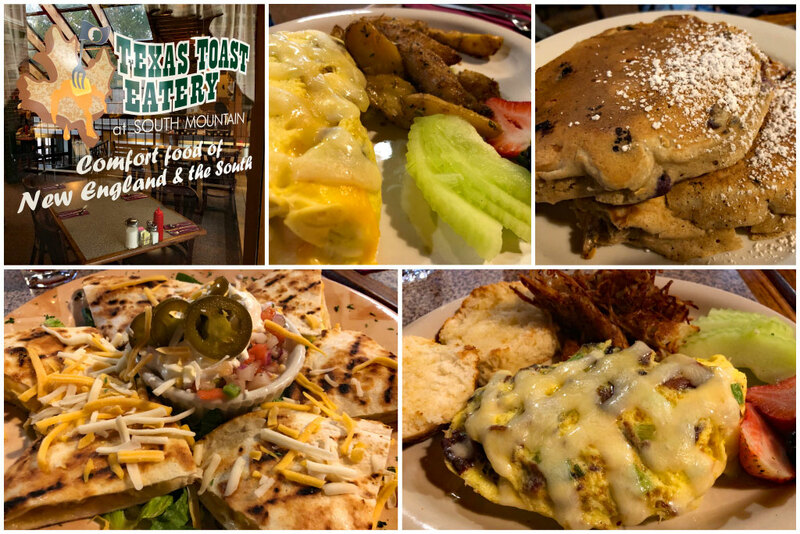 Another confession: We’re really glad we didn’t have time for Flap Jack’s that morning, because Texas Toast Eatery turned out to be a delicious discovery! Their slogan is “homemade comfort food in New England, inspired by the South“. Most of their food is prepared from scratch using the freshest ingredients around. Everyone in our party ordered something different and we all thoroughly enjoyed our choices. And the portion sizes are certainly nothing to scoff at. The name and location has changed, but the quality of food certainly has not! UPDATE: Since our visit, they’ve made some changes! Their full name used to be Texas Toast Eatery & Pig’s Ear BBQ. They have since dropped the BBQ portion of their business, changed their name, and relocated. 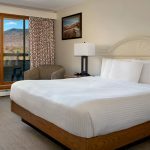 As of December 2018, Texas Toast Eatery is now known as The Toast at La Vista, and is located at the new RiverWalk Resort Hotel off Main Street in Lincoln. 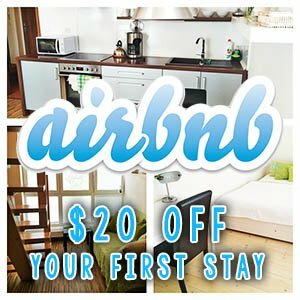 (Click HERE for Places to Stay in Lincoln, NH). Breakfast favorites are still served daily, with the exception of Thursdays when the restaurant is closed in the morning. Since Chef Mary moved with the restaurant, we can definitely recommend a visit. Mary continues to serve up southern-inspired and unique dishes including Lobster Benedict, Breakfast Burritos, Bananas Foster French Toast, Lemon Ricotta Pancakes, and so much more more! 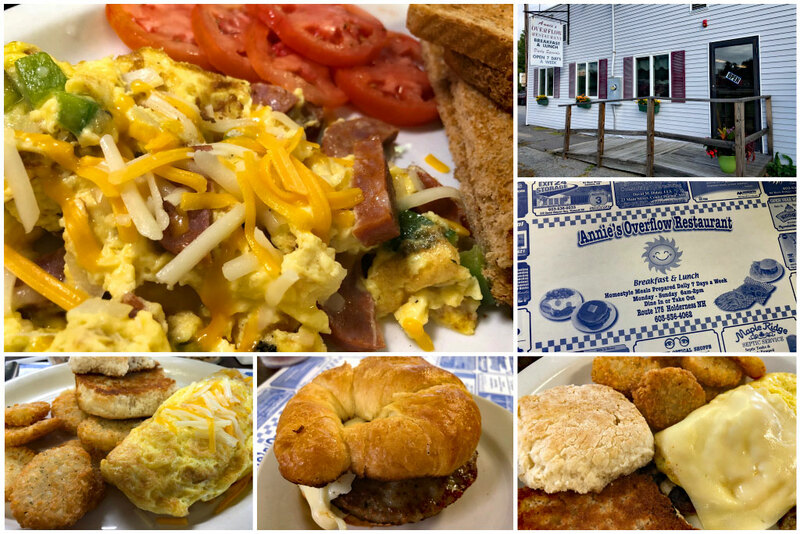 While not technically located in the town of Lincoln, we’d be remiss if we didn’t tell you another delicious breakfast option near the White Mountains NH. If you find yourself near Squam Lake or the towns of Plymouth or Meredith, be sure to check out Annie’s Overflow. It’s located in the small town of Holderness, about 25 minutes south of Lincoln. Annie’s is a classic diner serving traditional breakfast classics and home-style lunches. They’re open 7 days a week from 6 am to 2 pm. 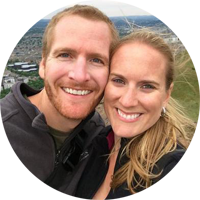 We enjoyed our meals so much, we dined there twice during our week long visit to the White Mountains. It helped that the restaurant is about 5 minutes from where we were staying in Ashland. 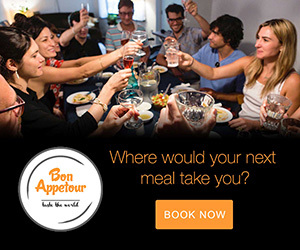 We loved the delicious food, the friendly staff, and the affordable prices. The breakfast offerings are expansive! Choose from omelettes, pancakes, waffles, french toast, breakfast sandwiches, and an eclectic variety of eggs benedicts. Looking for something super hearty? Order the steak and eggs, country sausage gravy and biscuits, or creamed chipped beef on toast. We only ate at Annie’s Overflow for breakfast, so we can’t vouch for their lunch. Though if it’s anywhere near as delicious as their breakfast plates, we can guarantee you won’t be disappointed. Have a look at their extensive menu. 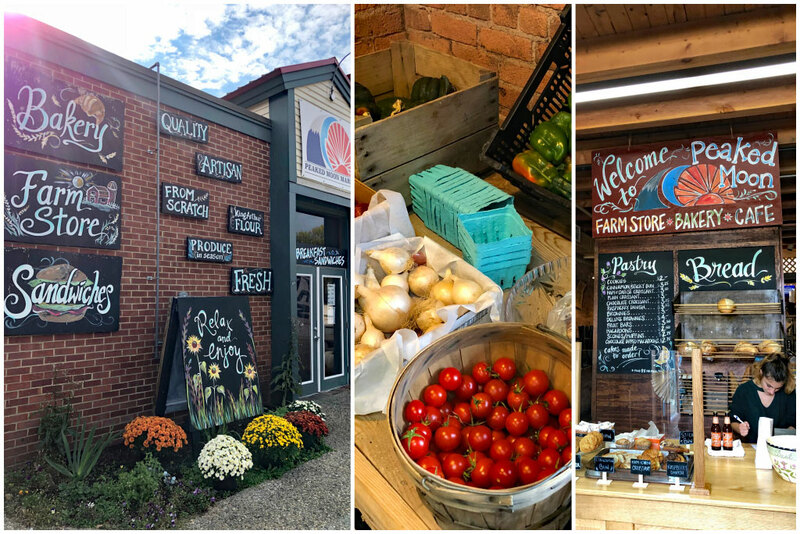 Located off of Main Street in Lincoln, Peaked Moon Farm Store, Bakery, and Cafe, is another wonderful choice for breakfast (or lunch)! Peaked Moon offers a wide array of pastries and sweet treats, including cookies, cupcakes, and pies. For breakfast devour a pastry, sip on a smoothie, or enjoy a filling breakfast sandwich served on freshly baked bread. Mid-day delicacies include sandwiches, salads, and soups. Farm fresh fruits and veggies are always readily available. Also, as a special Friday night treat, Peaked Moon serves up a nice collection of pizzas using farm fresh ingredients and farm-raised meats. The Farm Store is an excellent place to stock up on healthy and hearty snacks for a day of hiking in the White Mountains. Peaked Moon Farm Store, Bakery, and Cafe offers the freshest breads, fruits, and veggies around! So, maybe breakfast isn’t your thing… or you’re just looking for more dining suggestions! Don’t worry… we’ve got you covered! Following your zipline tour with Alpine Adventures or a hike through Flume Gorge, you’ll be ready to grab a bite! Allow us to introduce you to some more Lincoln NH restaurants serving decadent lunch and dinner entrees. 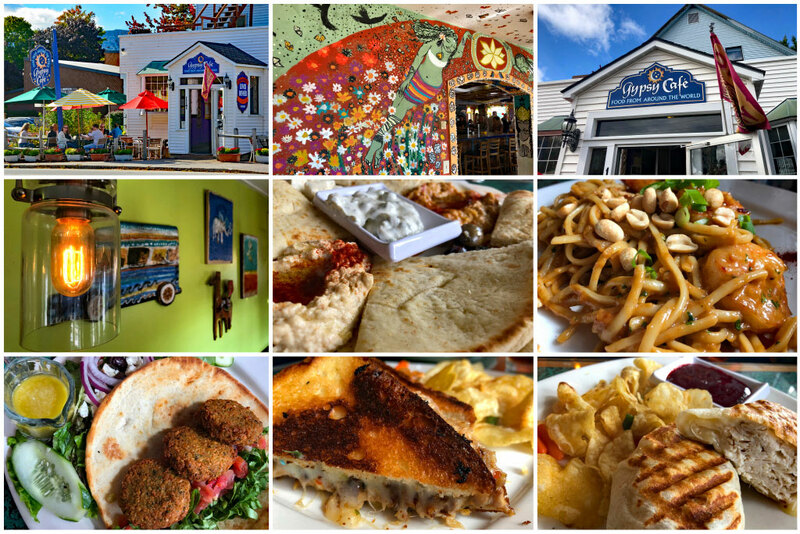 Hands down, Gypsy Cafe is one of our favorite Lincoln NH restaurants! This colorful Bohemian cafe tantalizes the taste buds with deliciously quirky dishes from around the world. We started with a Mediterranean sampler platter, served with hummus, baba ghanouj, feta cheese, mixed olives, cucumber yogurt dill sauce, and grilled pita bread. It was a mouthwatering foreshadowing of what was yet to come! Our entrees included an Italian duck grilled cheese sandwich, falafel wrap, Indonesian peanut noodles, and a turkey bacon wrap served with raspberry chipotle sauce. If it was socially acceptable, we would’ve licked our plates clean! Gypsy Cafe offers unique dishes you won’t find anywhere else! One Love Brewery is another restaurant in Lincoln we visited twice during our stay in the White Mountains. One Love is a family-owned and operated master German lager house and gastropub. The food is great (check out their eclectic menu), but it’s the beer that brought us back for a second visit. It’s exactly what we wanted after a day of hiking Artists Bluff and riding the Cannon Aerial Tramway! Again, it’s their beer that inspired a second visit for us. Choose from one of their staples – a rich porter, a Bavarian light lager, a Bock, a Marzen, or a double rye pale ale. They’ll occasionally brew up a seasonal favorite, such as an Oktoberfest, like when we were there in the Fall. Your best bet? Do like we did – get a flight and try them all! You’ll then be able to choose your favorite and purchase a few crowlers to go! So, if you like beer, be sure to check out what is surely the best brewery in Lincoln, NH! 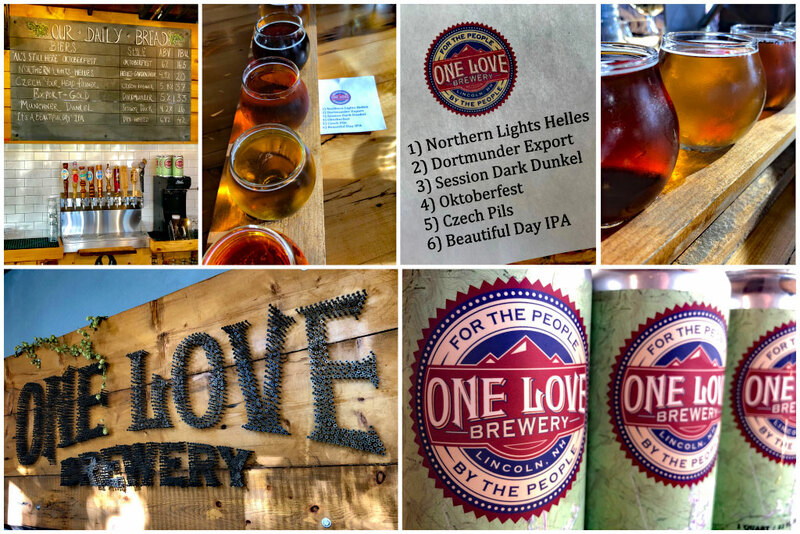 Get a flight to sample all of One Love’s delicious brews! After our wonderful experience at One Love, we figured we’d try out another one of New Hampshire’s best rated breweries. Woodstock Inn and Brewery is located just down the road from Lincoln in the rustic little town of Woodstock. It was a nice ending to our day of exploring the nearby Lost River Gorge & Boulder Caves. Woodstock Inn Station and Brewery is centered around a renovated train station, so the ambiance is pretty eccentric. The food, however, left much to be desired. Sadly, none of us were too impressed with our dinner entrees. Fortunately the quality of their beer made up for their mediocre pub grub. So much that we visited Woodstock Inn and Brewery a second time during our week in the White Mountains, but just for the beer! 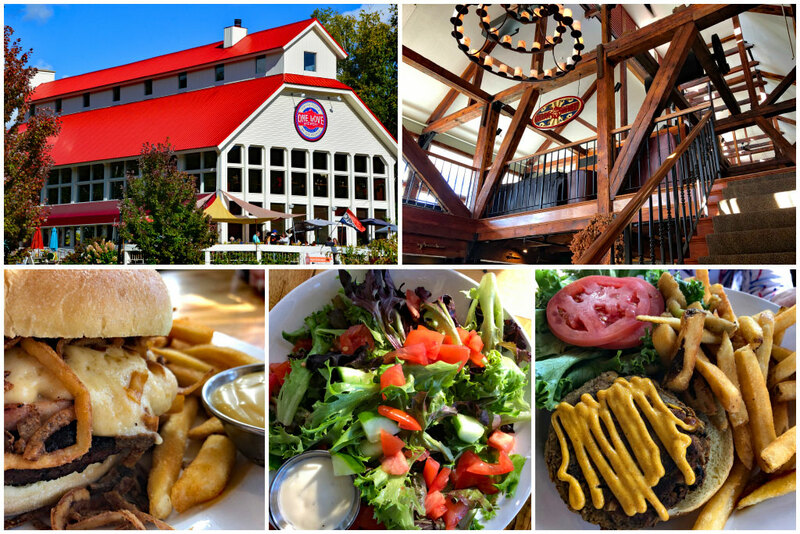 We encourage a visit to Woodstock Inn and Brewery for the ambiance and beer… not so much the food. 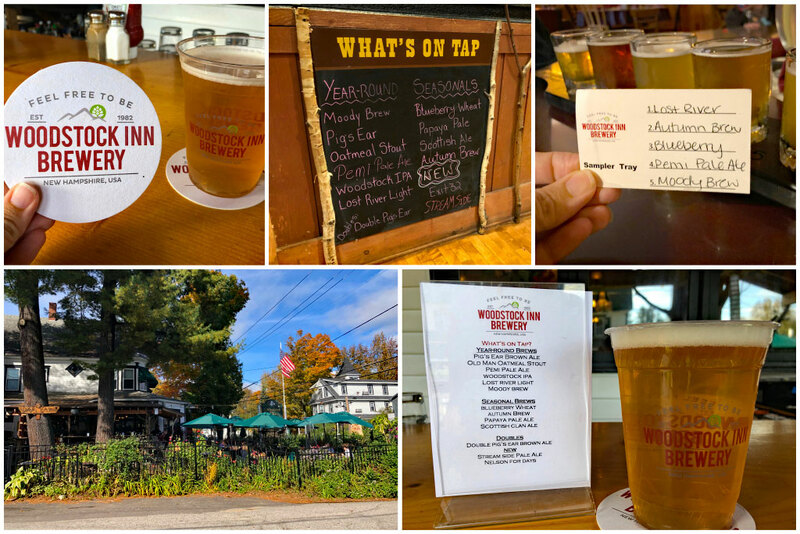 Woodstock Inn Brewery offers daily brew tours, complete with samples, if you’re interested in learning about their story and brewing process. With 14 handcrafted ales on tap there’s plenty to choose from. Our absolute favorite is the Lost River Light Ale. So refreshing! Enjoy a brew at the Dam Bar, their seasonal outdoor patio. It was constructed using downed beaver trees as roof supports and salvaged wood for the rest of the construction. Check their Happy Hour specials for a great price! They also offer lodging, if you’re looking for a nice place to stay in the White Mountains. Need a sweet treat? 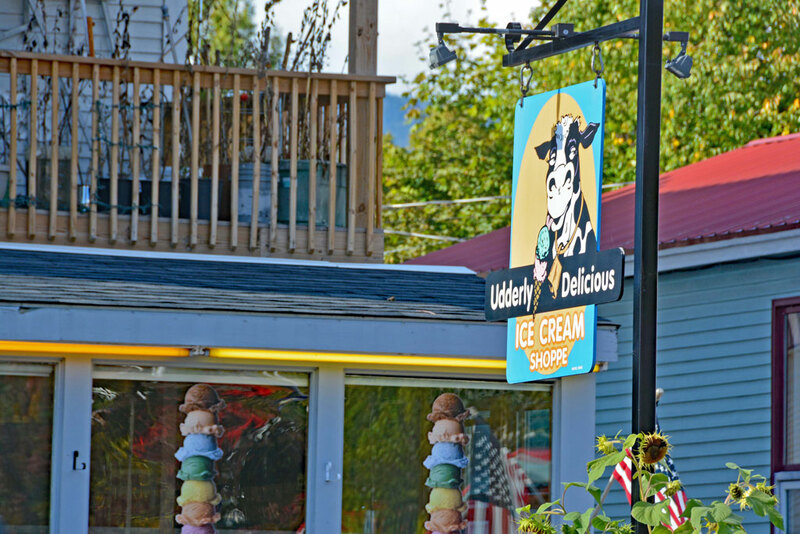 Check out Udderly Delicious Ice Cream, owned by the same folks who own Peaked Moon Farm Store, Bakery, and Cafe we mentioned earlier. Sadly, we didn’t get a chance to try it for ourselves, but from all the glowing reviews we read online, we’ll definitely be putting it on our list for next time! Choose from a plethora of flavors, then decide if you want a cup, cone, sundae, or milkshake. Yum! Got any other recommendations for places to eat in Lincoln NH? We having a sneaking suspicion we’ll make a return trip back to the White Mountains one of these days!